This is delicious, nutritious, adaptable, and easy! 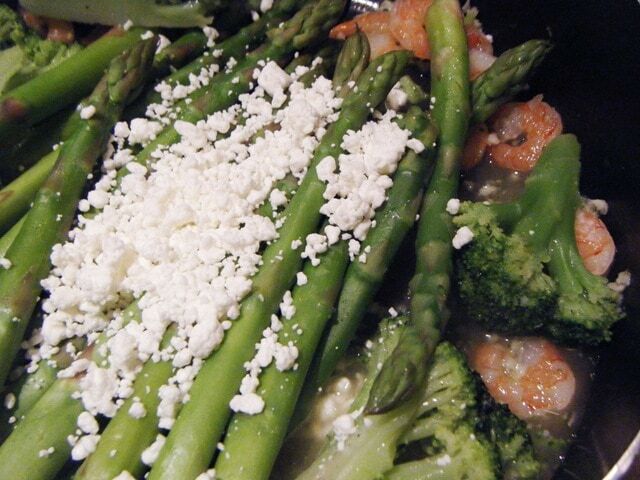 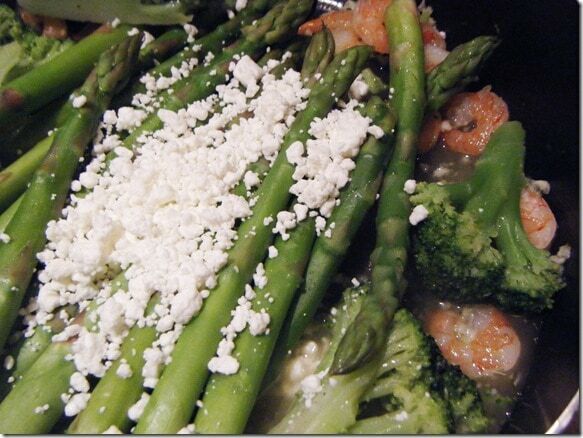 Just sautÃ© your veggies and shrimp in a drizzle of olive oil and minced garlic (to taste) until cooked through, then add in a splash of veggie or chicken broth and a hefty sprinkle of goat cheese. Stir until mixed thoroughly. 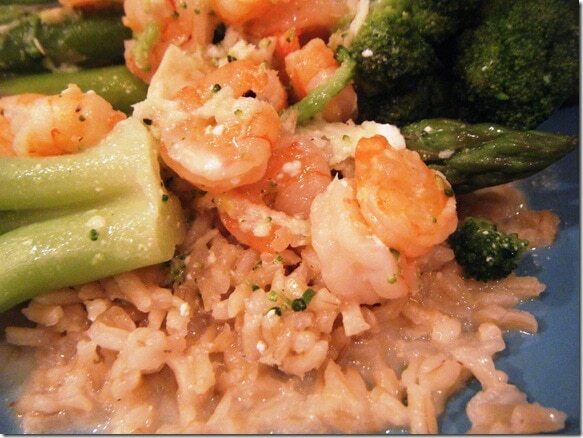 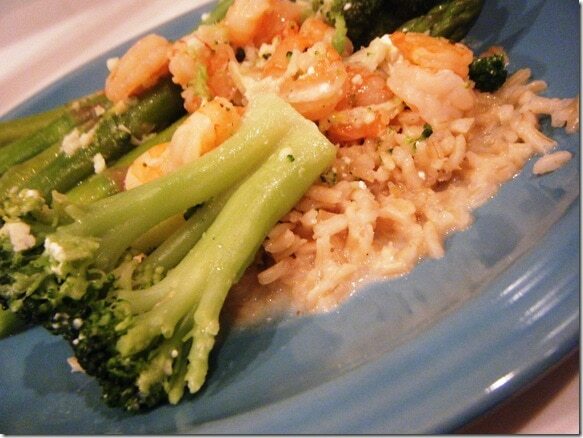 Serve over brown rice and with salt and pepper to taste!